She looks in dire need of humanitarian aid, ear and eye protection. A 30mm grenade launcher wouldn’t hurt, either. 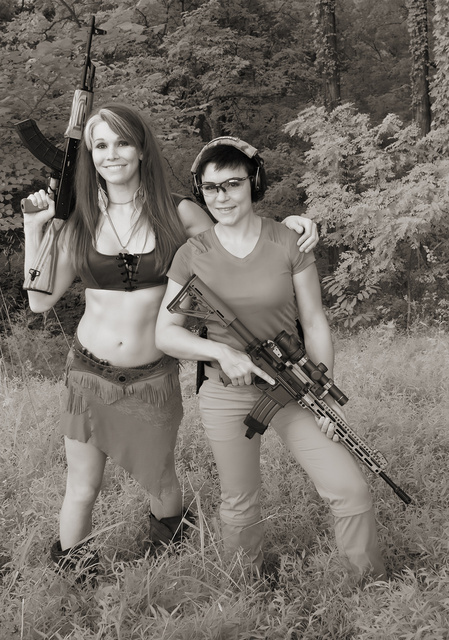 This entry was posted in interesting people, rifle, weapon and tagged 223, 7.62x39, AK47, AR15, infrared, woman. Bookmark the permalink. Much better looking than any of the native troops I worked with. Also missing the edged weapons/tools that are prevalent in the locations I used to play. Both of them would be on my dream team for a TEOTWAWKI. Good looking,skilled and equipped.